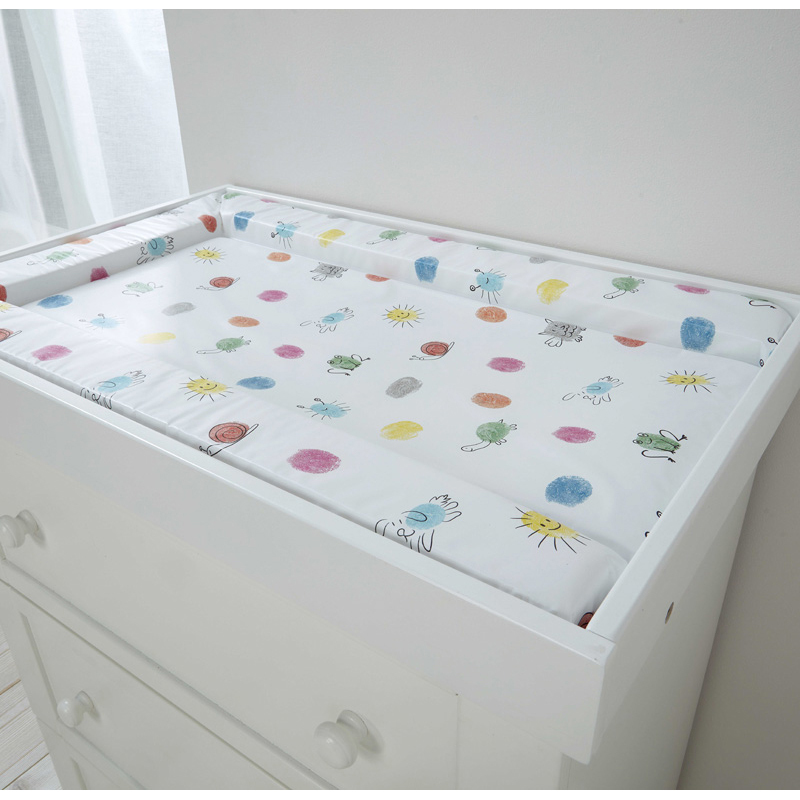 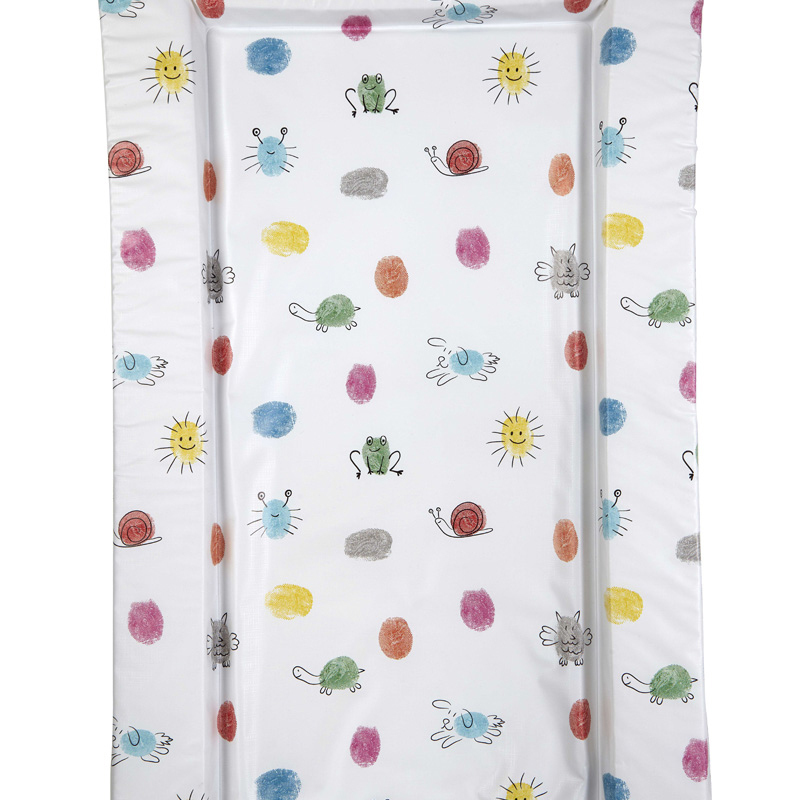 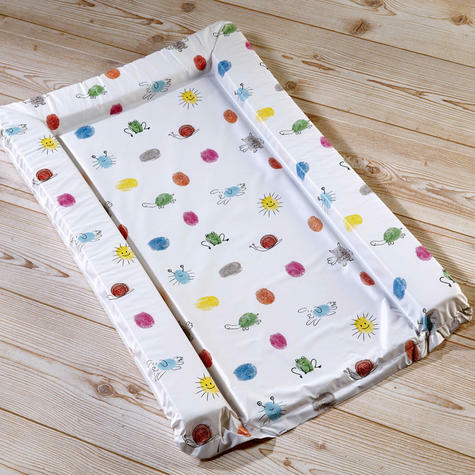 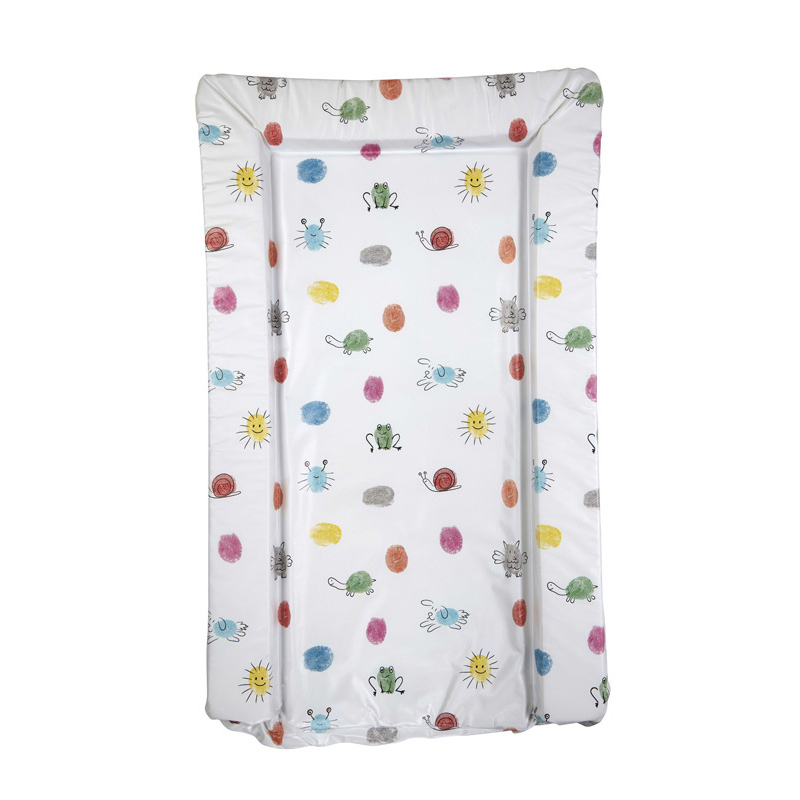 The East Coast Nursery changing mat features a print of animals within splashes of colourful thumb prints! The unique idea is very on trend with DIY personalised gifts often using thumb and finger prints with a name or drawing within them. This changing mat has an all over print with light blue prints featuring a puppy and green prints for frogs and turtles, and yellow including the sun! The lovely design is an ideal unisex choice and helps make nappy changes fun. 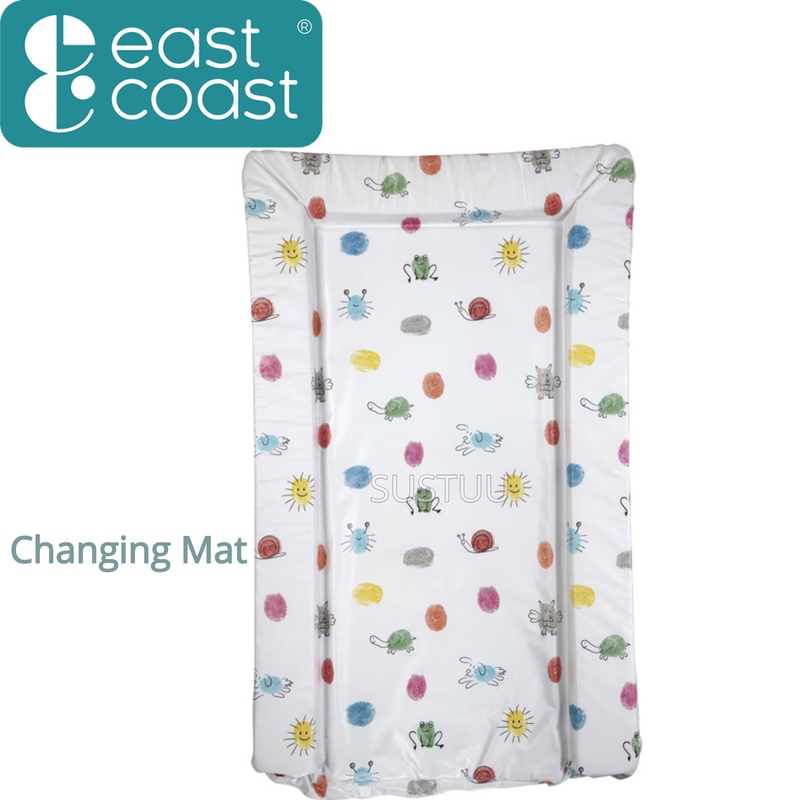 The mat is softly padded with foam for comfort and is easy to wipe clean.